Brian Elliott is the VP & General Manager of Platform at Slack, where he oversees Platform strategy and execution. Slack integrates with leading ISV partners like Google, Oracle, Salesforce, SAP, and ServiceNow along with more than 1,500 other software products. Slack’s Platform also enables teams to easily build their own custom internal integrations. 94% of Slack’s paid customers use apps and integrations to make teamwork simpler, easier and more productive. 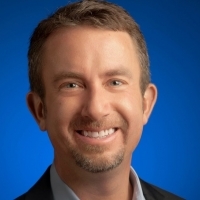 Previously, Brian was General Manager of Google Express, Google’s full stack commerce platform, driving product, engineering, operations and go-to-market functions. Brian previously was CEO at Monsoon Commerce, a software platform that services thousands of online businesses, and led Alibris, a global ecommerce marketplace. Brian received a Bachelor of Arts in Mathematics and Economics from Northwestern University and an MBA from Harvard’s Graduate School of Business.